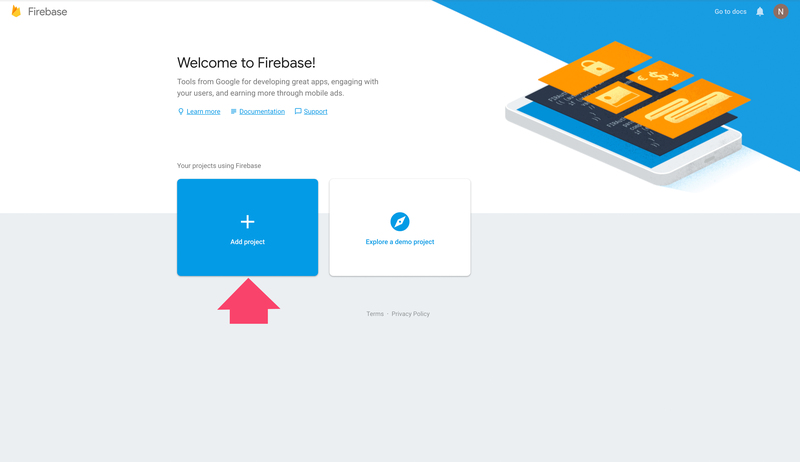 Firebase Cloud Messaging (FCM) is a cross-platform messaging solution that lets you reliably deliver messages. PushOwl uses FCM in the background to deliver notifications to your subscribers. Syncing your private FCM project with PushOwl will allow you to export your subscribers at a later date if the need arises. By default, your subscribers are mapped to a shared Pushowl FCM project, and hence these subscribers cannot be exported. This is an optional step and recommended only if you have high traffic. 1. 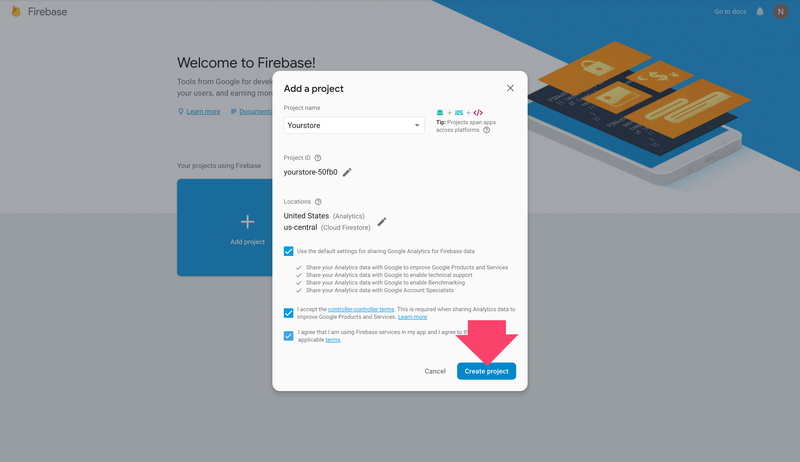 Go to Google’s Firebase and create a new project. You need a Google account to sign up. 2. Name your project and click on 'Create Project'. 4. 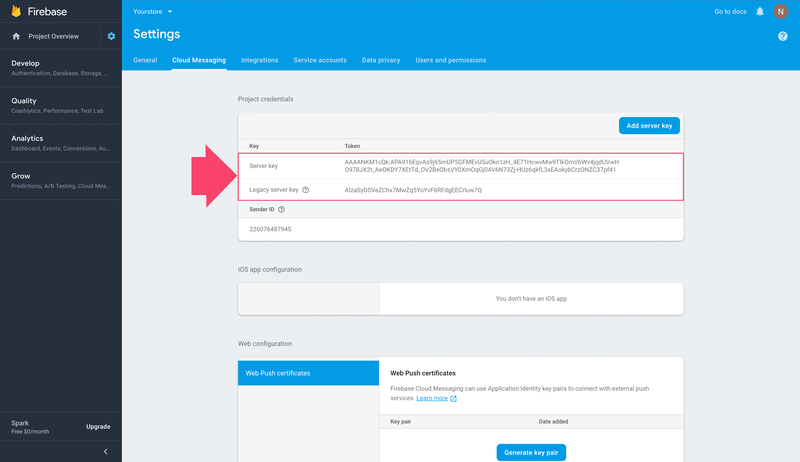 Click on Cloud Messaging to find the server key and Sender ID. 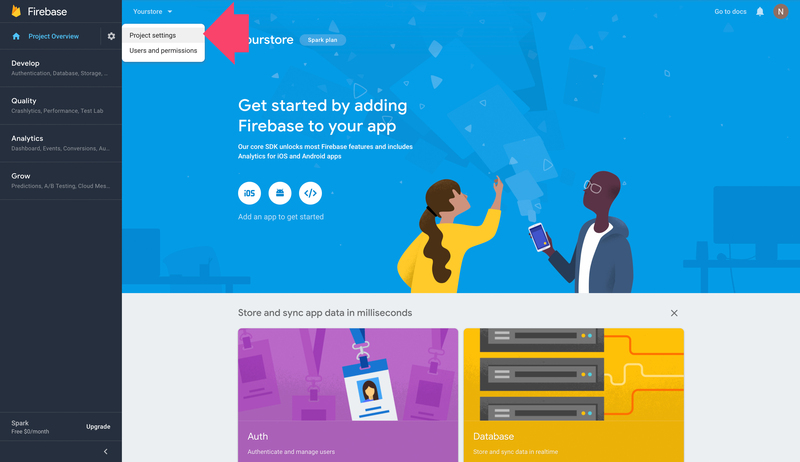 To add your FCM key to PushOwl, follow these steps.